It seems like publishers have been afraid of adapting to a changing market. By analyzing other content industries they saw the pitfalls of accelerated digitalization. They tried to avoid developments such as lower prices and piracy by delaying digitalization as long as possible. Maybe they deemed the risk of building the required infrastructure for an eBook platform was too great. On the other hand, the publishers’ reactions have opened the door for many new players and entrepreneurs within the publishing industry, and this is probably where the development should come from. Amazon started as a bookstore selling only physical books, and the missed opportunities by many in the industry is now part of our industry’s history. But where do the future’s opportunities lie? Ebooks will not mean the end of print. However, I believe that consumers will look at the next book they intend to buy and properly consider whether they want to purchase an object which they can take out of the book shelf repeatedly, read and admire. For example, a printed book with beautiful pictures of landscapes of the Grand Canyon will certainly still be physically bought in the future. However, educational books such as textbooks and novels will make more sense to buy as eBooks as you can search through them and add notes. This will not happen overnight but over the next couple of years, just like people are still buying DVDs while they can enjoy the same content on Netflix. The digitalization of reading will mean a market that will have no borders in the future. The current distribution restrictions will break down and will allow eBooks to be distributed globally. Amazon, Google, Samsung, Microsoft and Apple will be driving forces behind this as their devices are sold and their content distributed globally. In many ways this is already happening. Amazon is a good example in that when you buy a Kindle, you can download eBooks all over the world with your device via the local 3G network. But publishers can also do this without help of the big device manufactures. 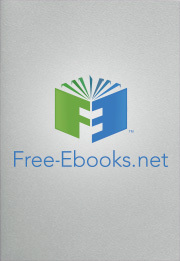 For example bookboon.com, which is one of the world’s largest eBook publishers, distributed free eBooks to all but one country in the world in August, the one being North Korea. This is the reality of the near future, a global market with a lot of localization. There is basically nothing preventing a German publisher today from making eBooks in French and vice versa. If a publisher comes up with the next big best seller such as the next “Harry Potter”, or the next “7 habits of highly effective people”, there will be nothing preventing that publisher from taking it global – just like the Finnish phone-app company Rovio has been able to take “Angry Birds” global. It will be a whole new publishing world. English as a global language – the establishment of English as a language read all over the world means that a statistics book published in English in Sweden will basically compete with a Statistics book published in the USA. It now comes down to which book the user chooses or which textbook the professors recommend their students to buy. For many years now, professors in Europe and Asia have recommended American textbooks, but today the opposite is also happening with European textbooks being used in the USA. Again, bookboon.com is a good example. Producing digital content is a lot cheaper than producing print, especially because it does not require the same investment in the printing process and stocking up the printed copies. This also means it is much easier to take a chance on a niche title, especially in a small language area. This includes many northern European languages such as Dutch, Swedish or Danish where there are only between 5 and 15 million speaking the language. If it becomes successful you can translate it and take it to other countries or global. The result I believe will be a lot more local content. Many future business models will be influenced by which devices consumers will use to read eBooks. Based on the current stagnation in the sales of eReaders in the USA, many have speculated that eReaders will hold 20% of the market share compared with 80% held by tablets such as the iPad. These devices with their built-in eBook shops will enable the consumer to buy as many eBooks as possible in an instant. As a result, these device-based distribution channels will take over a lot of the book sales which used to be generated in regular book stores such as Barnes & Noble in the USA, and Waterstones in the UK. But there will also be room for innovative business models such as all-you-can-consume subscriptions which will distribute content through apps on tablets and smartphones. These business models’ survival will come down to finding an innovative approach to content and marketing. Thanks to social media and the internet in general ,a great idea can be spread faster than was previously thought possible on a global scale. The lesson learned from the examples of Google, Facebook and Twitter must be that a superior product wins or in the case of Instagram, the most social product wins. The next one may very well be within the publishing industry, and some will argue that the Kindle was this revolutionizing product. In my opinion, the publishing industry can expect many more great ideas, and the real winner will be the product that can be used across all platforms and does not require a dedicated hardware investment. Marketing as a discipline is changing as Google and social media have globalized the book market and offer publishers new ways of promoting their products. However, many traditional publishers have not yet taken full advantage of social media whereas bookboon.com and free-ebooks.net have more than 750,000 and 150,000 Facebook fans respectively. The marketing aspect of publishing books will be the defining discipline in the future publishing industry, which will compete on a global scale. Having a strong profile as a publisher will be most important. Via social media, this will create a pull effect, which will enable smaller publishers to have success against the big established players. Traditional publishers are only slowly picking up on digital books, as they fear that they will earn less due to lower prices. Lower prices will mean lower revenues if you cannot increase readership. Therefore the old publishers’ organizations will need to adapt faster to change and be more innovative in order to keep up with the fast pace of the digital book market. Consequently, the publishing industry which is known for being rather inflexible and traditional is facing some tough choices and organizational shifts. Furthermore, the digitalization of books also brings about an increase of piracy. Students have always copied whole or parts of textbooks using a photocopy machine, but digital piracy makes it even easier to rapidly spread unauthorized copies of expensive textbooks which again results in lower revenue for the traditional publishers. A recent survey conducted by bookboon.com shows that while second hand sales are slightly down in the USA, almost 10% of students admit that they have acquired textbooks from unauthorized sources. This is just the beginning. Everything that you have read in this article so far is basically a linear prediction of the future based on what is clearly visible today, but there will be new innovations which we cannot predict yet. One example could be audio books which Amazon is already investing in, or the next big social innovation which will combine reading and social media in the same way Instagram has combined photography and social media. It will be exciting to see who will come up with a great idea and has the right mindset and manpower to turn it into a global product.